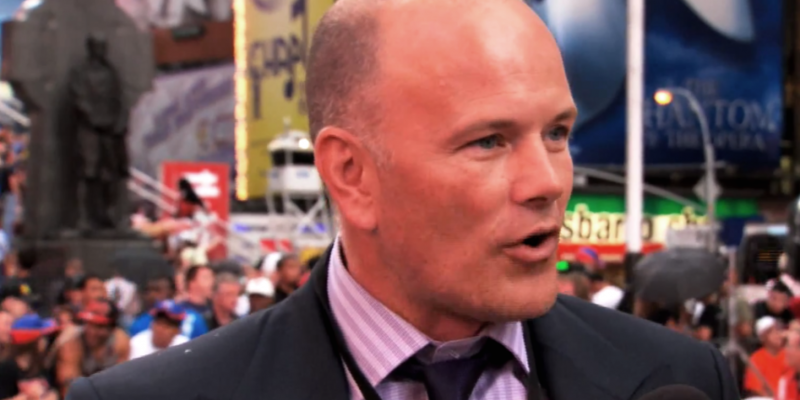 Fortress Investment Group CIO Mike Novogratz is bullish on bitcoin. Why? The digital currency is attracting some of the smartest people around, he says. In an interview with Bloomberg TV from the 2014 Sohn Investment Conference in New York, and reported by Business Insider, Novogratz argued that bitcoin is attracting some serious talent, including some of the brightest programmers on the face of the planet. Furthermore, there is a lot of smart money flowing into the digital currency, he added. Novogratz claims there are an estimated 30,000 individual programmers working on bitcoin, which is a lot given the size of the niche and market cap of bitcoin at the moment. When asked whether bitcoin could fade away, Novogratz said the basic concept will ultimately lead to the decentralisation of finance. He argued that new concepts such as peer-to-peer lending will emerge and that the banks are already feeling threatened, as similar concepts have already taken off in other industries. “The Internet disintermediates large players and I think bitcoin is just one of the threats that the finance industry […] has coming against it,” said Novogratz. Fortress Investment Group already has a substantial presence in bitcoin: the company teamed up with Benchmark Capital, Ribbit Capital and Pantera Capital to launch a bitcoin investment fund back in March. Previously, back in 2013, Fortress became the first Wall Street investment firm to enter the bitcoin space. It was rumoured to be buying bitcoins and a regulatory filing in February revealed that the company invested $20m in bitcoin holdings in 2013. Novogratz clearly has more than one reason to want bitcoin to succeed – about 20 million reasons, in fact – but his comments on human capital and the long-term development potential of bitcoin do ring true.